While most have heard of the fictional sensation Game Of Thrones (Thrones) on HBO, there is another series that takes its inspiration from the pages of history. Set roughly 600 years before the War Of The Roses, which largely inspired Thrones, Vikings has enjoyed a fiercely addictive debut. The series, which has already been renewed for a second season, is inspired by epic accounts of Norsemen around the mid-ninth century. At its center, the story is about the Viking chieftain Ragnar Lodbrok (Travis Fimmel) and his family. Lodbrok was a farmer, warrior, and raider who eventually became a revered and respected leader responsible for scores of legendary raids and epic stories. Although Norse oral poetry and prose reshaped his exploits to probably include several Norse heroes, many of the stories attributed to him are grounded in fact. The series takes some additional literary license, such as creating the impression that Vikings were less democratic and more autocratic or that they employed the death penalty, but manages to maintain the spirit of historical accuracy. If the Vikings had an Arthur Pendragon, his name would be Ragnar Lodbrok. In the second episode of the series, for example, Lodbrok leads a band of Vikings on the raid of Lindisfarne (two miles off the English coast) in 793. The historic raid on the island marks the beginning of the Viking Age. The Anglo-Saxons were so taken with fear that their own records account for bad omens, whirlwinds, lightning storms, and even dragon sightings before the Vikings came ashore. The Viking version of events is meaningful but perhaps not as mythical. While Lodbrok doesn't have dragons, he does have the next generation of a Viking longboat designed by his friend and shipbuilder Floki (Gustaf Skarsgard). Along with several dozen spirited raiders and his wiry and sometimes jealous brother Rollo (Clive Standen), Lindisfarne opens the West for future summertime invasions. While praised for his daring, it's also this raid that sets Lodbrok on a collision course with the reining chieftain Earl Haraldson (Gabriel Byrne). Haraldson, who had grown complacent with age and the loss of his sons, was against raiding the lands to the West. Perhaps more than that, he sees Lodbrok as a growing threat to his authority. Beyond the blood-soaked storyline and into the lives of Vikings. Vikings makes the story of the Norsemen ring true, alternating back and forth between barbaric and noble. Anytime he is away, his wife, Lagertha (Katheryn Winnick), must prove her own prowess as a warrior to protect herself and her family but not because women were assumed to be weak. On the contrary, Viking women could own property and rule alongside men. It was one of several ways that Vikings were socially and politically advanced for their time. In addition to their weapons of war, they were equally known for their craftsmanship and curiosity. They traveled the world, visiting Russia to the East and the Americas to the West, hundreds of years before Columbus. The allure of their civilization isn't only apparent to its growing audience. Athelstan (George Blagden), a Christian monk captured as a slave but increasingly considered family by Lodbrok, becomes smitten with the culture. In some ways, he might even express creator Michael Hirst's own interest in them. About writer and creator Michael Hirst, MGM, and The History Channel. 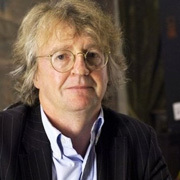 On more than one occasion, writer and creator Michael Hirst has expressed that he has been fascinated by the Norsemen for several years. After writing the acclaimed screenplay Elizabeth (Cate Blanchett, Geoffrey Rush), he wrote another about Alfred the Great, who successfully defended the Kingdom of Wessex from Vikings after Lodbrok's death. While the screenplay didn't work out, Hirst's research did. Given his experience with The Tudors and Camelot, it made sense for MGM to recruit him as the creator of its first original television programming after emerging from bankruptcy two years ago. As another first, the 10-episode series was picked up by the History Channel. Vikings By Michael Hirst Thunders In At 9.2 On The Liquid Hip Richter Scale. The prospect of a hit fictional series on the History Channel creates a unique opportunity for the network. With millions of years of source material and the insight to retain some semblance of historic accuracy, the cable network might have found a unique niche to create hit programming alongside its already successful string of docu-reality series. Vikings by Michael Hirst can be seen on the History Channel. You can download the series from iTunes. The History Channel recently released a network app too. The free app provides dozens of shows from various series on network plus additional documentary content. 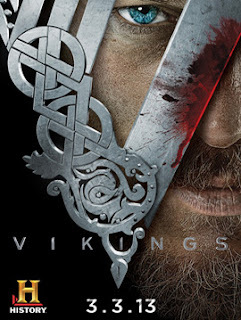 For Vikings, it usually includes the most recent four episodes for anyone who missed the timeslot. Ignore the negative reviews, which downrated the app based on other technology and providers. It's surprisingly good.